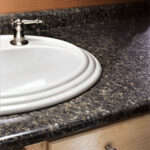 Kitchen and bathroom countertops are made from materials that are durable and, in most cases, easy to maintain. From glass to stainless steel to concrete-just about any material that can provide a water-tight, durable, stain-resistant, handsome surface can be used for a countertop. All of the varied countertop materials have distinctly different qualities, and some are far more durable, expensive, and/or difficult to install than others. So, how do you choose? If you’re looking to install a new countertop, the material you choose will depend on your budget and the appearance and serviceable qualities you want. Generally speaking, in order from least to most expensive, the following are the most popular. See the following pages for much more about countertop materials. • Laminates are durable and made in hundreds of colors and patterns. 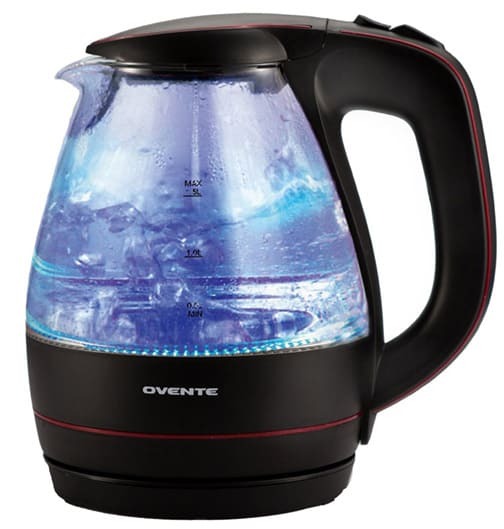 However, they can be scorched by hot cookware and utensils, and they’re not suitable as cutting surfaces as they will scratch. Laminate countertops are made from a thin surface of high-pressure laminate that is applied to a base of particleboard or plywood. • Ceramic tile is available in a vast array of colors and patterns and is extremely durable, easy to clean, and scorch-proof. Tiles are applied with mastic or, even better, mortar, to a plywood or tile backerboard base. • Solid surface, a manufactured composite material, is quite durable and offers a seamless, easy-care surface that often imitates the look of natural stone such as marble, granite, or slate. Though solid surfaces can be machined with standard wood-working tools, installation requires a professional. • Woods such as maple, oak, and other hardwoods, applied in butcher-block fashion, make handsome and durable countertops. Wood requires a finish to maintain its original patina, and it can warp, scorch, and foster bacterial growth. • Natural stone such as granite and marble are considered to be the height of elegance and will last longer than most kitchens. Stone, however, is very expensive and requires some care: Grease will stain granite, and acidic substances such as orange juice will etch the finished surface of marble. Standard kitchen counters are 24 inches deep and 36 inches from the floor. Bath counters are often shorter and shallower- 30 inches high and about 18 inches deep. Some kitchen countertops have backsplashes-short vertical sections along the back that protect the wall. Most countertops combine a base of plywood or particleboard that spans across the top of cabinets plus the finish surface material. They require the mastic, glue, mortar, or grout needed to adhere the surface to the base and keep it impervious to water and stains. Edge treatments for countertops vary depending on the material. The square edge is the most common, particularly with laminates, wood, and tile. Bullnose is a safe, practical edge that makes a countertop look substantial. Ogee is more decorative but can only be shaped from certain materials. 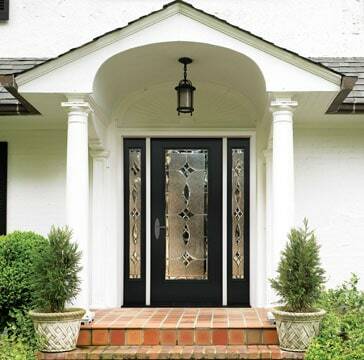 A more decorative appearance can be achieved by a detail of wood, metal, or a different color sandwiched between layers of laminate, solid surfacing, or stone. For a better understanding of the benefits and drawbacks of countertop materials, sort through each of the possibilities on the following pages. For information on countertops for outdoor kitchens, see Outdoor Kitchen Countertops.